Dark, solid fire walls are a thing of the past. Now, glass fire screens are all the rage. 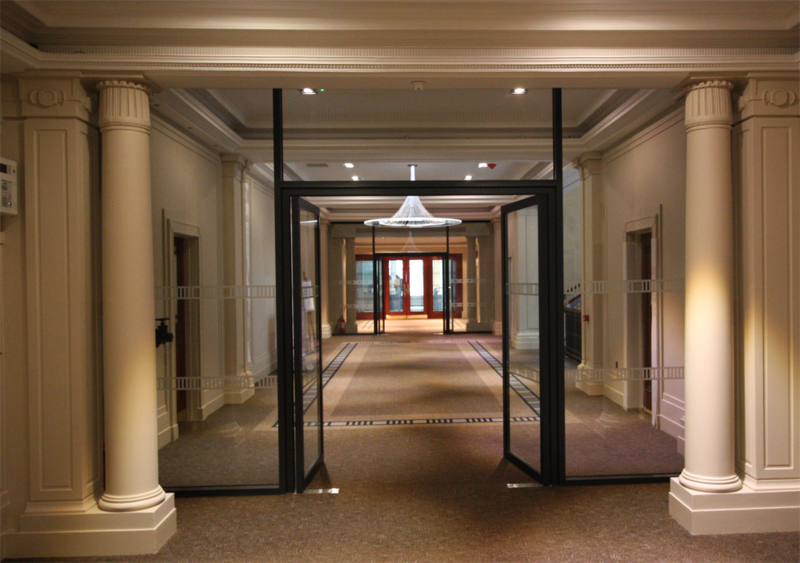 Glass fire screens are the perfect addition to any modern building, where fire safety is of the utmost importance. Glass office partitions have become a worldwide trend, as the sleek designs have the ability to provide privacy and division to a workspace, whilst also being aesthetically pleasing to the eye. In recent years, glass partitions have been upgraded with advanced fire glass technology, which allows style and safety to be combined. After all, nobody wants safety precautions to have to become an eyesore, so fire rated glass partitions are perfectly in-keeping with any modern building. Fire rated glass partitions are a particularly great solution for modern office buildings, as well as those in the health education sector where stringent building regulations are standard. Glass fire screens do just as excellent a job at segregating escape routes, staircases and any other important areas, as any other fire screen would do. The toughened, fire-rated glass restricts the spread of flames, smoke and hot gas for a prolonged period of time. What makes glass fire screens the perfect choice, is that they are just as sleek and elegant looking as a standard glass partition, but with added safety – so you wouldn’t even tell the difference. All fire rated glass partitions can be custom designed to fit the feel and regulations of any building, with a variety of high quality slim-line powder coated steel or stainless steel framed fire rated glass partitions. Depending on design requirements, thermally insulated fire rated glass partitions can provide fire ratings of up to 120 minutes integrity insulation. Silicone-jointed glass systems can be provided where framework wants to be kept to a minimum, which will give up to 60 minutes integrity insulation. A range of framed or frameless glass fire doors are also available to install within glass fire screens, as when it comes to fire segregation, escape routes are vital. Glass fire doors are available with a choice of fixtures and fittings, to help them blend with their surroundings yet be as effective and practical as possible. 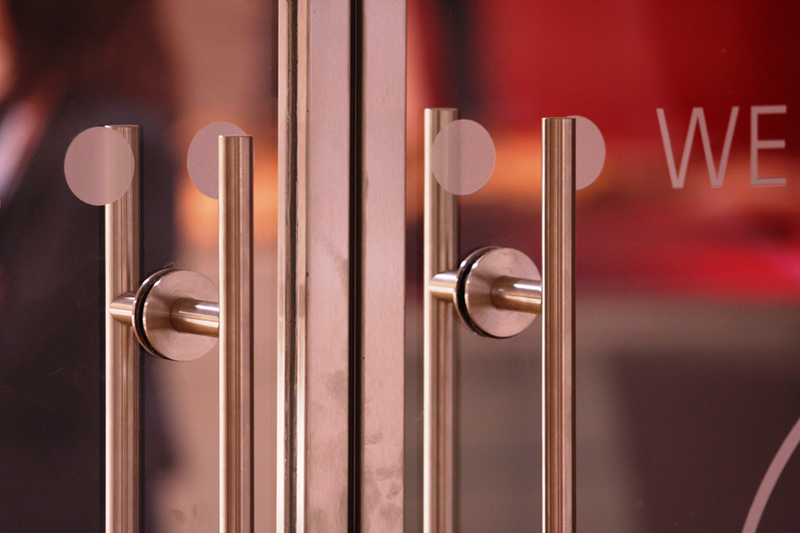 Not only are glass fire doors and partitions key when it comes to fire safety, they are also the perfect cost-effective solution to dividing and segregating a building. As with all other glass partitions, the systems have the ability to distribute natural light in any area, creating a bright and airy environment. Utilising all natural light to it’s maximum potential helps to keep lighting costs to a minimum, thus the initial cost of having fire partitions installed could cover itself in the long run. It really is no wonder why glass fire doors and partitions are so popular, as they are a stunning yet effective solution to fire safety in a host of different buildings. The elegant, seamless finish makes the fitting a sleek feature rather than an unsightly safety necessity. The system gives the ability to comply with safety regulations to the highest standards while overhauling a building design with a refreshed, modern feel – so, why look elsewhere?